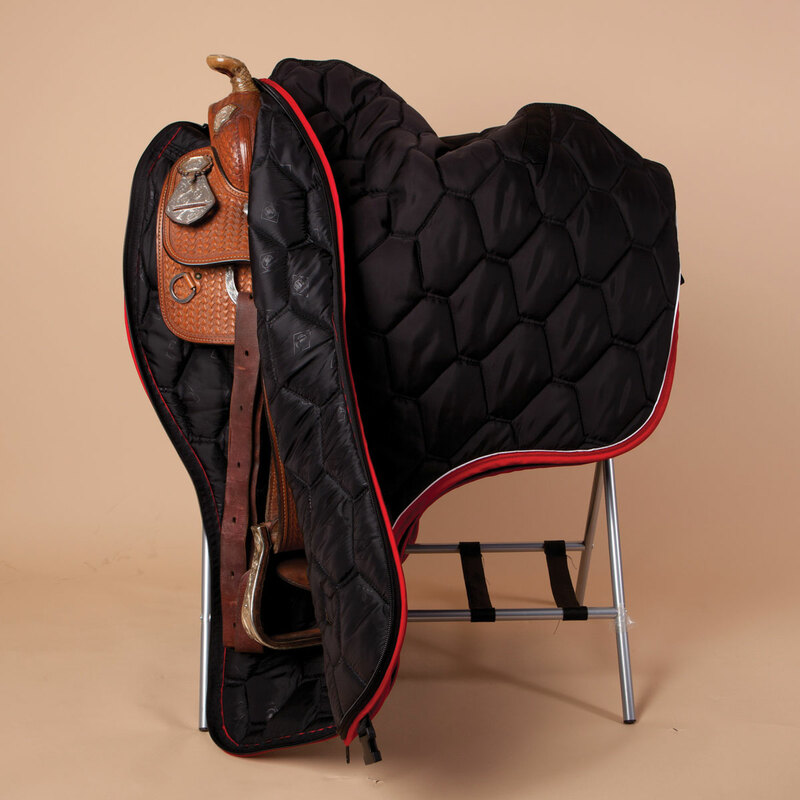 Your show saddle is a big investment, and you want to keep it looking show ready. 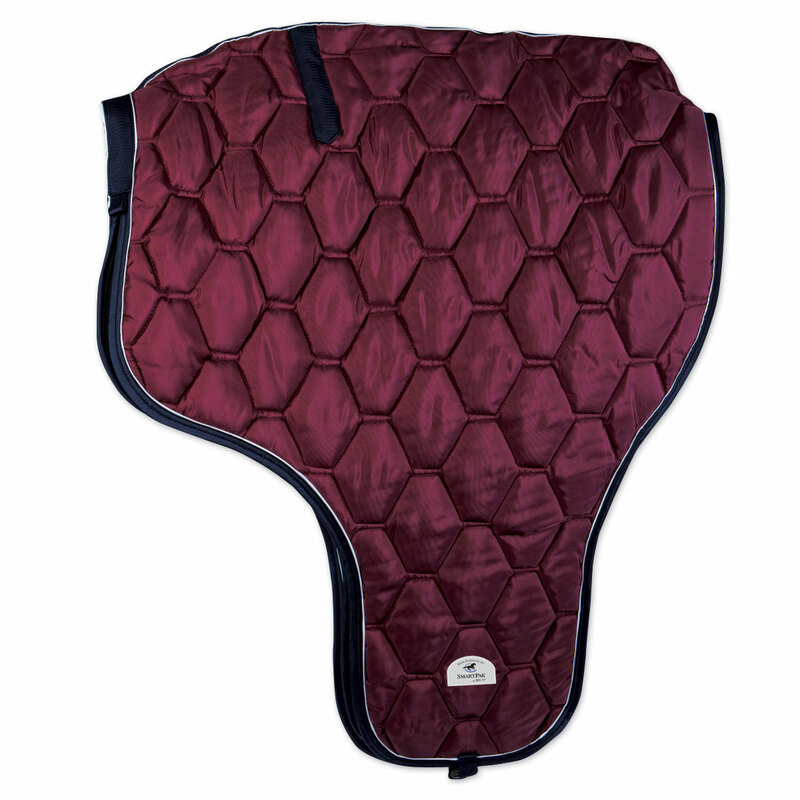 Our exclusive Rockin' SP Quilted Saddle Carrier by Big D offers the perfect protection. See all the coordinating bags to make your perfect set. 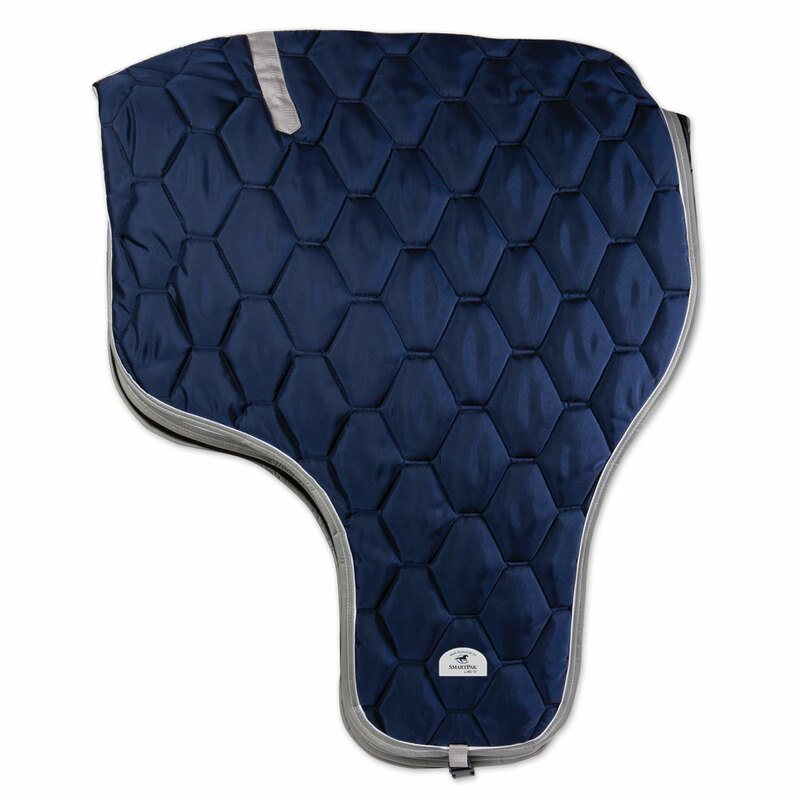 Measures 33" x 42 1/2"
SmartPak Exclusive Quilted Western Saddle Carrier by Big D is rated 5.0 out of 5 by 20. Rated 5 out of 5 by Leslie from Really nice! This carrier is fabulous! It is so well made and is a little oversized so it will fit a large western saddle. I am really pleased with it. The construction of it awed me, heavy duty zippers and the quilted padding is generous. You can't go wrong with this carrier. Highly recommend!! Rated 5 out of 5 by Cbequine from Great quality Happy with the whole package. Heavy duty, fits my big saddle. A little pricey but worth it. Rated 5 out of 5 by Laci from Fits perfect! Love this bag! I wanted something to protect my fathers western saddle and it fits nicely with room to spare! great buy! 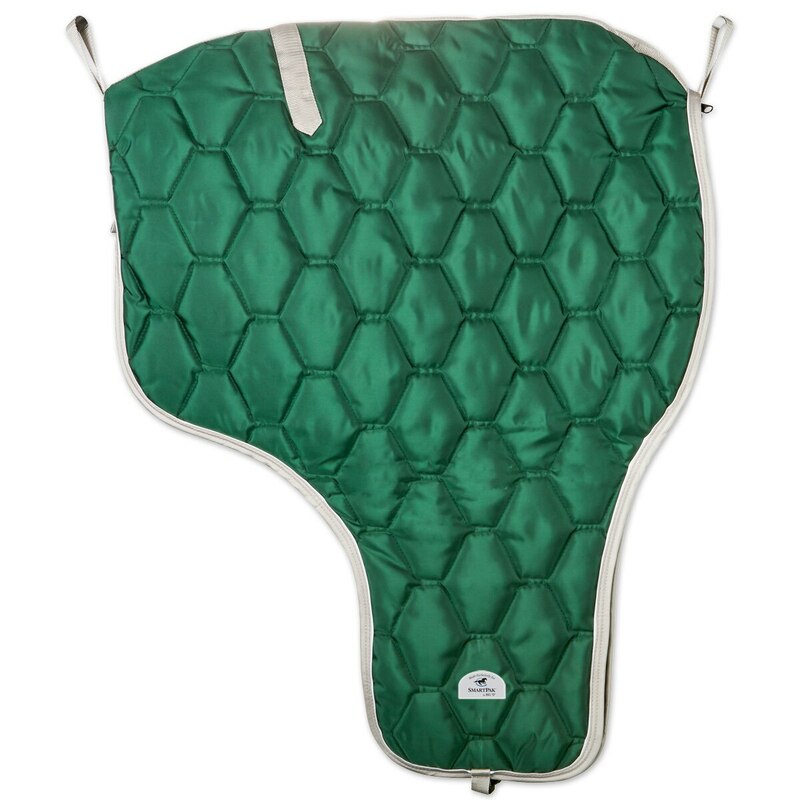 Rated 5 out of 5 by Barb from Great saddle cover/carrier I love this saddle cover It is big enough to put my show saddle in easily. The inside is slick enough to slide the saddle back into the cover as needed. The zipper zips very easy. It is exactly what I was hoping for when I bought it. Rated 5 out of 5 by stoneka from Perfect! I bought these a few months ago when had to carry my saddle back and forth from the barn (didnt fit in my locker) and it made it so much easier! Freed up my hands and made carrying my heavy saddle much more manageable! Great fro keeping your saddle clean and from getting beat up! 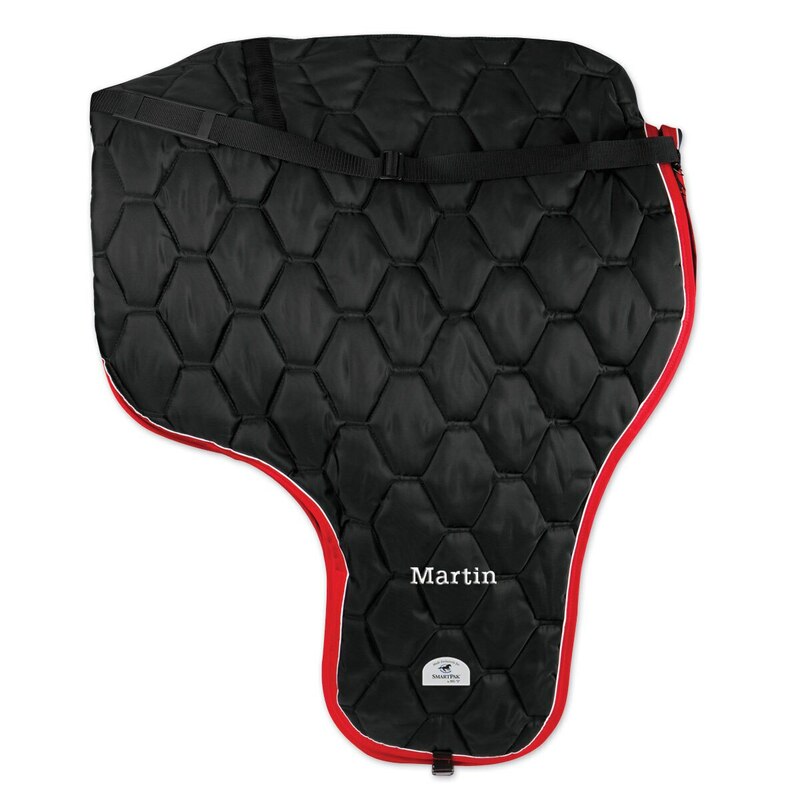 Rated 5 out of 5 by M Rez from Great Product Great saddle cover, fair price, exactly as expected. Rated 5 out of 5 by Paddy2002 from Great Saddle Cover and Carrier This is one of the nicest western saddle carriers I have seen. I have been looking for awhile. I had it embroidered and it looks wonderful. I ordered it in maroon and grey. I am very happy with this purchase. Rated 5 out of 5 by Peanut from great saddle carrier bag I bought this to keep in my tack room to use with whichever saddle I might be using. This western bag works great because I can use it for either the western saddle or the english saddle and it keep the saddle clean and protected.